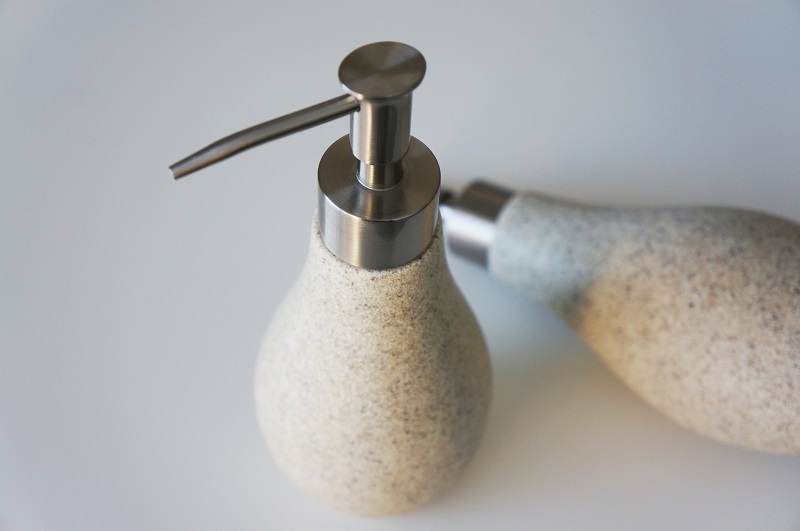 Soap dispensers with sand texture. I bought these years ago and have been treasuring them for the longest time. Now that I have moved to a new apartment is the perfect time for me to put them to use, with the stainless steel finished top it gives my bathroom a touch of modern chic. Just as it sounds, lemonade juice mixed with vodka and ice. Enjoy! A little bit of measuring and cutting, a crystal flower vase and some water, I was good to go with my flowers of the week arrangement. Orange carnations. I love eye enhancers, this one had some of my favorite colors. I also love that it last pretty much all day. Crystal Waters 270 - Covergirl. I am not an expert at all when it comes to cooking, usually I play it safe with simple foods, like salads and pasta and small bites. This is one of my favorite! My staple dressing is vinaigrette but this time I used a homemade honey mustard dressing made by a fried of mine, she is all about gluten free meals and it was delicious. So basically, I mixed my bag of salad, with onions and cranberries, pour the honey mustard dressing on top and served lemon ice tea as my drink. H & M dress, Christian Siriano shoes, Black purse, Apricot Lane earrings, silver jewelry, Black sunglasses from JFK airport.